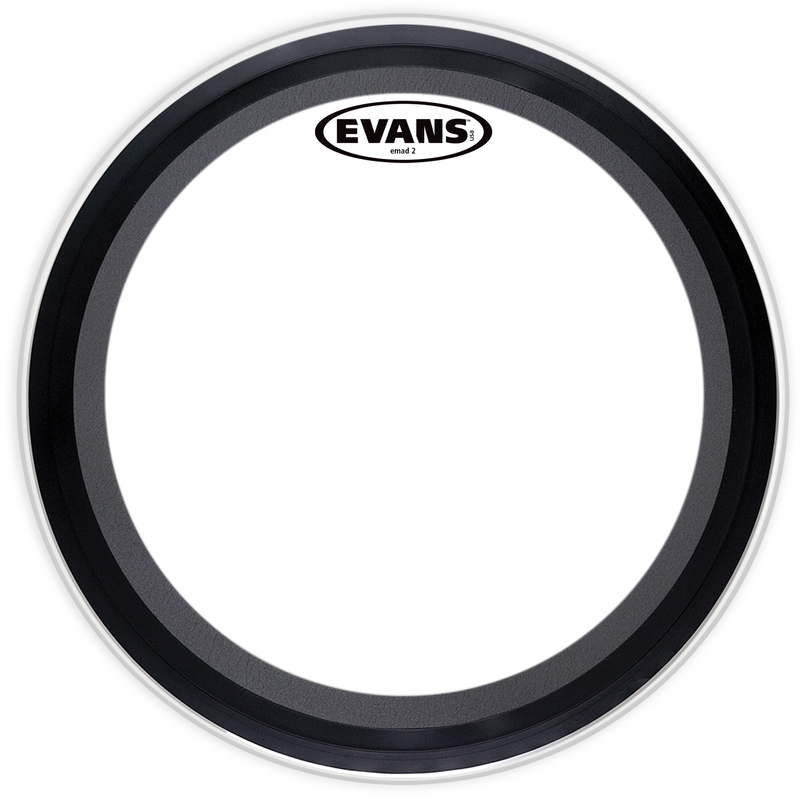 Home > PERCUSSION > HEADS > Evans EMAD2 Clear Bass Drum Head 22"
Evans EMAD2 Clear Bass Drum Head 22"
Evans EMAD2 series features two plies of film. The outer ply of 6.5mil and an inner ply of 10mil film provides an enhanced attack, focus and durability. The EMAD2 contains two interchangeable damping rings that maximize attack and low-end without removing the head or reaching inside the drum. The unparalleled industry standard Externally Mounted Adjustable Damping (EMAD) system allows the player to adjust attack and focus.